As featured in the ThunderRoads January 2017 issue. 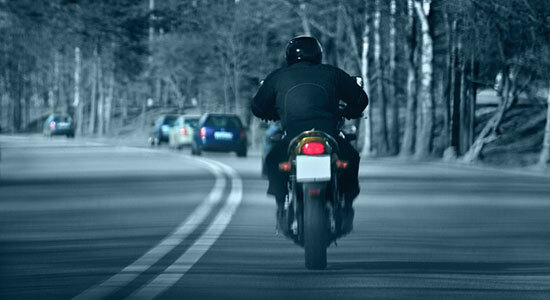 As a motorcyclist, what's your New Year's resolution? If you haven't thought of one quite yet, we have some ideas to offer up. At the end of this riding season, we gave Snyder's Riders members the chance to complete our End of Season riding survey for a chance to win a motorcycle gift bundle, including an entire safety course, generously donated by ProRider Pittsburgh. Over 100 members took the survey, and it gave us some valuable insight when putting together our list of motorcycle resolutions. New year, new look. Make a resolution to go through your riding gear and assess what's missing or what could be better. In our End of Season survey, we were impressed that 100 percent of our survey takers wore at least some form of protective riding gear, ranging from reflective clothing to helmets to gloves. We were also impressed to see that 90 percent of survey takers wore helmets, despite helmets not being required (though overwhelmingly encouraged) in Pennsylvania. But our team was also surprised to notice that only 95 percent of respondents wore eye protection – even though eye protection is required for all riders in Pennsylvania. If you're one of those five percent without eye protection, or if you're lacking any other piece of safety gear, January is the perfect time to refresh your safety equipment and wardrobe. Retailers are in need of space for new styles and upgrades, so you're sure to find some after-holiday closeout sales. It's also a good idea to go through pieces you've been wearing for years – your gear's ability to protect you decreases with time and wear. Making a New Year's resolution to take a motorcycle safety or training course could be even more beneficial to your health than joining a gym or starting a diet. Why? We say it all the time: Your chances of being killed or hurt in a motorcycle accident are much higher if you are not professionally trained. Over 60 percent of our survey takers did not participate in some form of training this past season. While that doesn't mean they haven't taken one at some point in the past, we encourage riders to attend a training program once every season. Participating every season ensures you’re up-to-date with new technologies, methods, and more. And besides that, every year you become a more advanced rider and might benefit from more advanced training sessions. As motorcyclists, we have something very strong in common: a great community to stand with. The off-season is a great time to get involved with the motorcycle community, so make a resolution to encourage others to take part. It's never too early to encourage a friend to join you for a beginner's motorcycle training course or make reservations for a summer weekend rally like Roar on the Shore (Erie, PA) or Thunder in the Valley (Johnstown, PA). Nearly 80 percent of our survey takers attended Bike Nights or other motorcycle events this year. If you weren't able to attend an event last year, there are a number you can attend every season, scattered all across many regions. By signing up with Snyder's Riders, you can get event alerts sent to your email, and you can follow events by liking us on social media. Over 20 percent of our survey takers attended events that they learned about through Snyder's Riders, and we'd love to see even higher attendance next year. You can also spread the word by encouraging friends and family to join Snyder's Riders. We're a community of motorcyclists dedicated to protecting ourselves and others on the road, and we offer motorcycle prizes for participation throughout the season. You can come to us with questions, suggestions, and we can offer help if you're ever in an accident. Join for free today at SnydersRiders.com and you'll receive a membership kit with a Snyder's Riders bandana, just for signing up. From our team at Snyder's Riders, we wish you a safe and happy New Year!